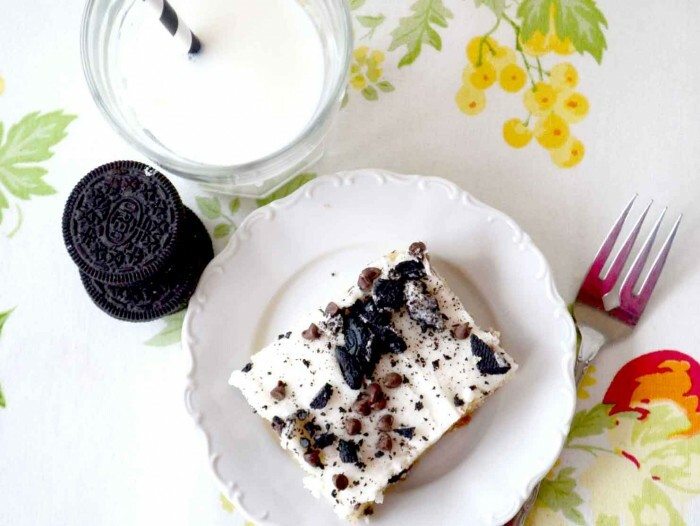 The Worlds Best Cookies and Cream Texas Sheet Cake! In my last post I mentioned my Niece just got married and her reception was last Saturday night!! Well with family in town we had a family lunch on Sunday and of course I decided to make a sweet treat!!! I had to make a Texas sheet Cake because there were like 20 of us at this lunch!! 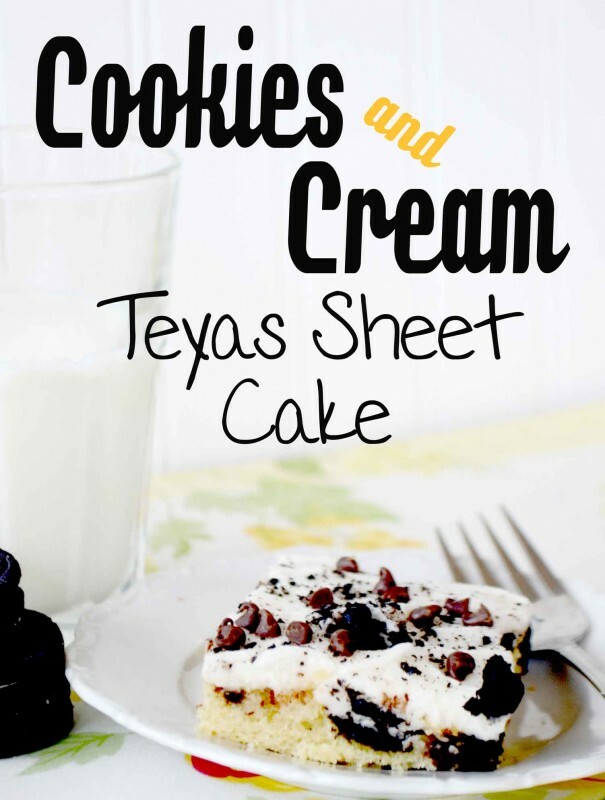 So I came up with….Cookies and Cream Texas Sheet Cake!!! It was amazing!! 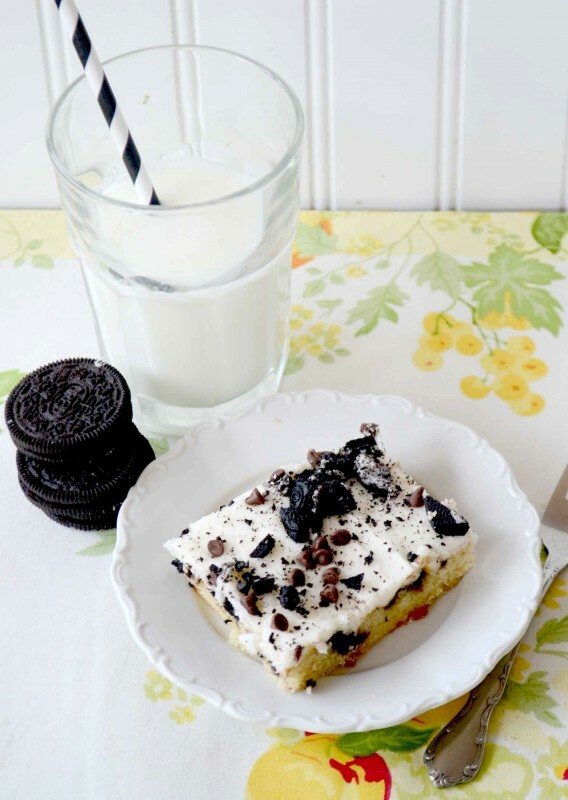 I am kinda on a Cookies and Cream kick lately so you might see another Cookies and Cream recipe next week!!!!! I started with a basic White Texas Sheet Cake and then added some embellishments!! For the cake I roughly chopped 8 Oreo cookies and after pouring the batter in the baking sheet I sprinkled the cookies on top. Because this is a thin cake I didn’t want to mix the cookies in the batter and that worked out pretty good!! Now to make it a little more interesting I sprinkled 1/4 of a cup of mini chocolate chips on top too!! You can never have too much chocolate!! The goodies sprinkled on top sunk down just a little bit into the batter, it was perfect! The cookies and the chocolate chips were about in the middle of the cake after baking! Perfect just perfect!! Now I have to tell you about the frosting. I wasn’t sure if it would work but let me tell you it did and it was amazing!! I was trying to use up my butter milk so I switched out the regular milk for the butter milk in the cake and the frosting and it was fantastic! The tang of the butter milk in both the cake and the frosting kept the sweet and savory balance just right!! Bring 1 cup butter and 1 cup water to a boil in a saucepan. Remove from heat and whisk in flour, baking soda, salt, sugar, eggs, butter milk and extracts until smooth. Pour into a greased 15×10 baking pan. Sprinkle chopped cookies and mini chips on top of batter. Bake at 375 degrees for 20-22 minutes or until a toothpick inserted in center comes out clean. Cool in pan on a wire rack. Place butter and buttermilk in saucepan and heat over med to low heat until butter is melted. This will look curdled but that is ok. When butter is melted whisk until butter mixture no longer looks curdled. Let this cool until it is room temperature. Do not place in refrigerator to cool. When room temp add extracts then incorporate powdered sugar into butter mixture 1 cup at a time. When it becomes too thick add 1 Tbs of milk at a time until you are able to mix in all powdered sugar and it is a spreading consistency. 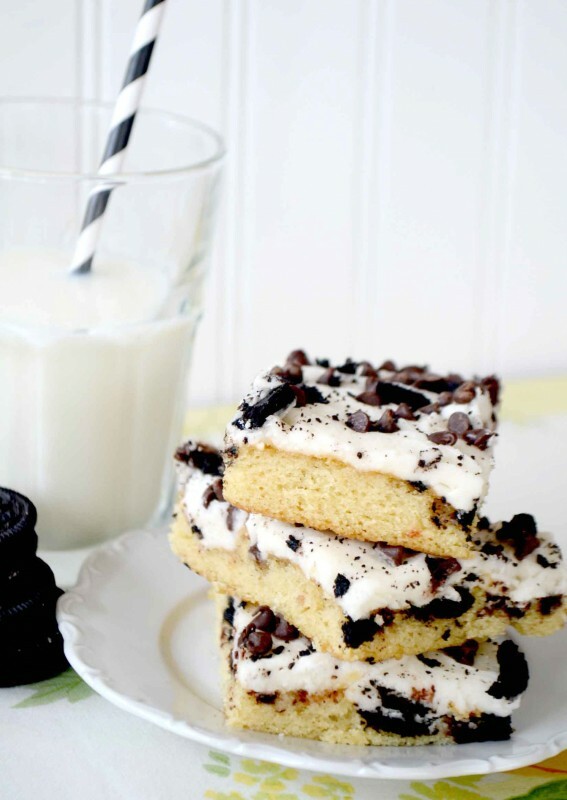 Spread over cooled cake and sprinkle with chopped cookies and chocolate chips! This cake will not disappoint I promise!!! 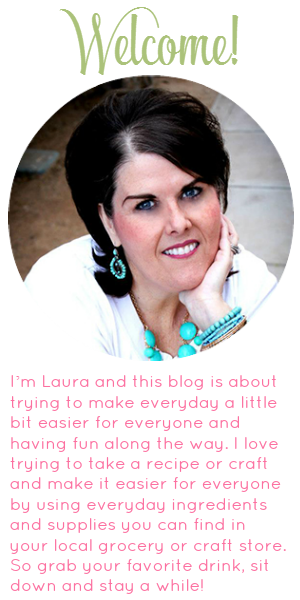 Have a fantastic weekend!! !